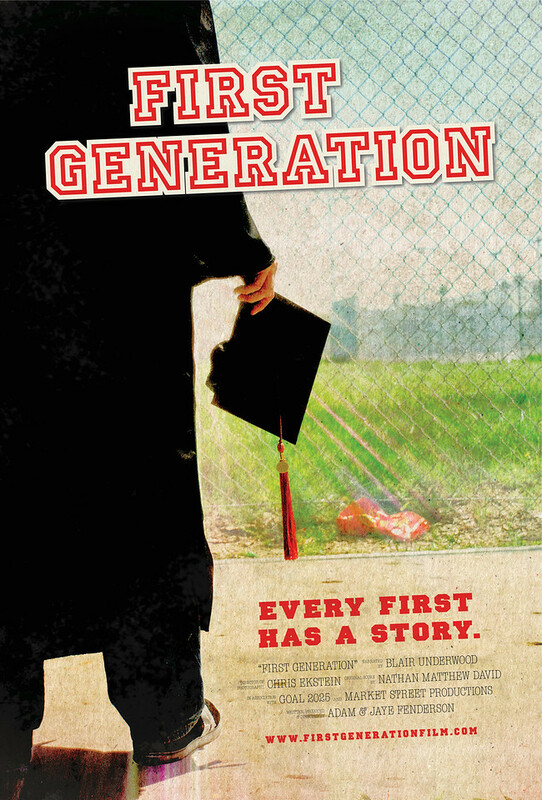 Educators hope to start a conversation about college access and success with a free screening of the award-winning documentary "First Generation" at 7 p.m. April 12 at the Indiana Theater. Narrated by Golden Globe nominee Blair Underwood, "First Generation" tells the story of four high school students -- an inner city athlete, a small town waitress, a Samoan warrior dancer and the daughter of migrant field workers -- who set out to break the cycle of poverty and bring hope to their families and communities by pursuing a college education. Shot over the course of three years and featuring some of the nation's top educational experts, the film explores the problem of college access faced by first generation and low-income students and how their success has major implications for the future of our nation. "Our goal is that K-12 students and their families will leave seeing college as less daunting and with some tools to navigate their success, built on a foundation that they do belong there," said Joshua Powers, associate vice president for student success at Indiana State University. "Our goal for current students is they leave feeling that they are not alone in anxieties and with a few more tools to be successful. Our goal for educators is to reinforce why relationships with students matter and feeling empowered to make a difference." The event is sponsored by Indiana State's Center for Student Success and the Vigo County College Success Coalition, a network of local organizations interested in increasing college access and success for young people. Photo: http://photos.indstate.edu/Other/Media-Services/Submitted-Photos/Staff-Uploads/i-cNQjThD/0/X2/FG_Poster_Print-X2.jpg -- The award-winning documentary "First Generation" will be shown at 7 p.m. April 12 at the Indiana Theater. Media Contact: Josh Powers, associate vice president for student success at Indiana State University, Center for Student Success, 812-237-8378 or joshua.powers@indstate.edu.